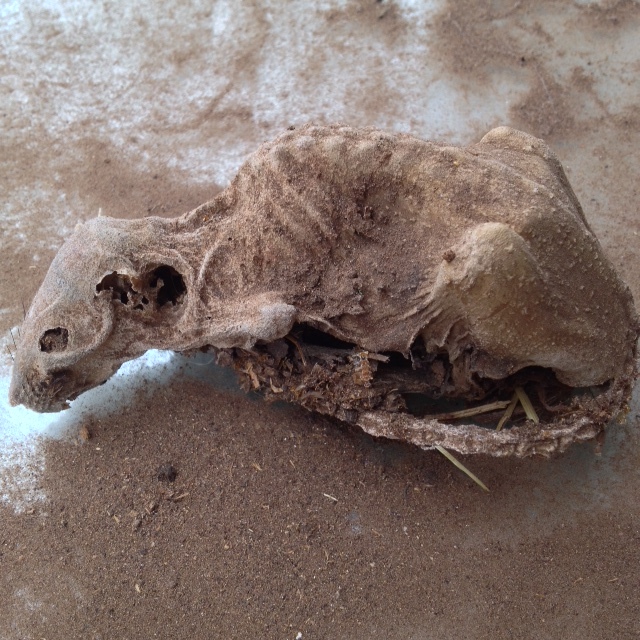 A mummified rat fell down from the ceiling, skin and whiskers in tact. I’ve just left it sitting on the table. I can’t bring myself to throw it away. I should explain that I have taken on an abandoned unit on my dad’s farm with the intention of turning it into… I’m not quite sure yet. Somewhere to put my ideas into practice I suppose. In my head it’s a beautiful space, warm, pot of tea on the go, the whir of my sewing machine, freshly-painted upcycle projects balancing precariously on a table edge. In reality it’s a concrete box with 40 years worth of dirt, dust, decaying cattle feed and dead rodent carcasses held up by an asbestos ceiling. The power supply is also questionable- no sockets as yet and my dad assures me lights ‘usually work’! At the moment I’m dedicating weekends the the dirty work and spending my weeknights at home in a snuggly cardi, cup of tea in one hand, fabric/wood/glass in the other.